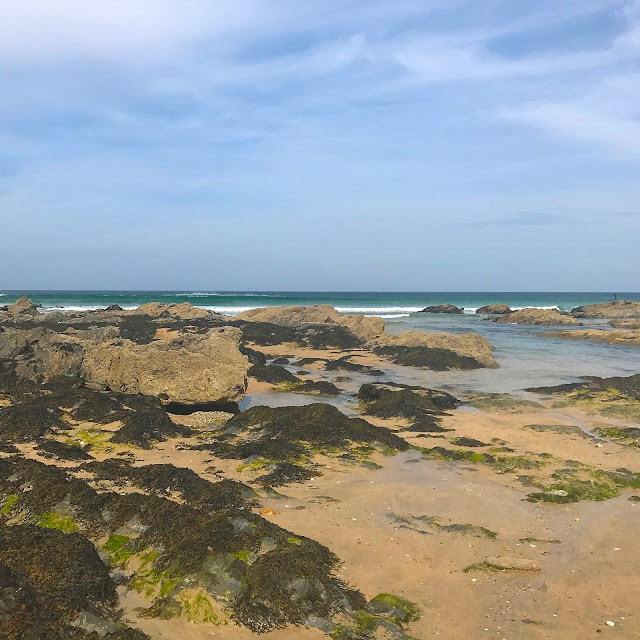 With the memories of our Pacific Coast road trip fading day by day and my longing to be close to the ocean again becoming too great, Tom and I decided to embark on a little UK adventure last month and head to Cornwall for a long weekend. Dependant on how far south you travel, the drive from London to Cornwall can be rather enduring so to make the most of our short trip, we chose to explore the North coast and a charming area called Fistral Beach, a world-famous surfing spot nestled in Fistral Bay, close to Newquay. For the next two days, our home would be the Fistral Beach Hotel, a 71-room contemporary retreat overlooking Fistral Beach. 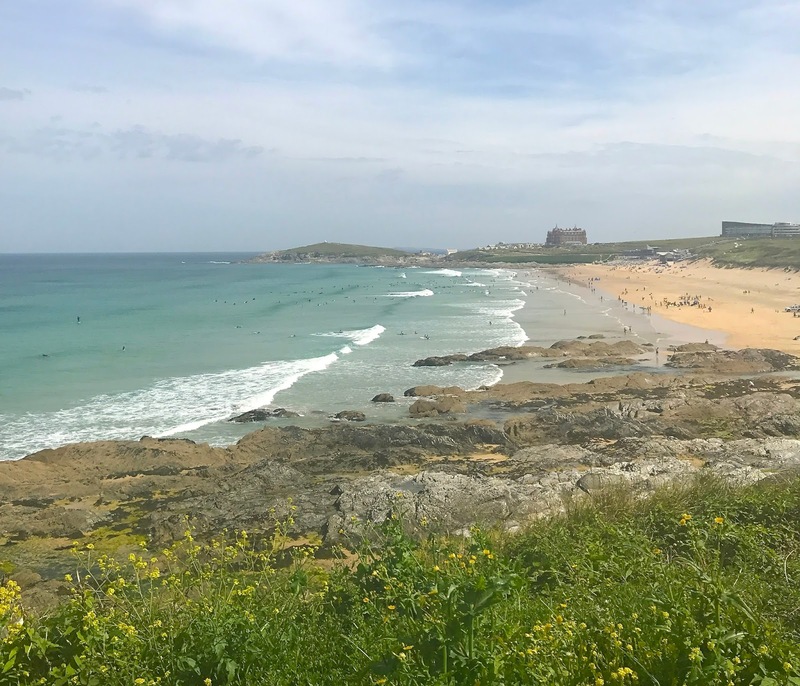 With comfortable, modern rooms bursting with little luxuries, an elegant restaurant, a cosy bar and a blissful spa, the Fistral Beach Hotel is designed with peace and serenity in mind and provides an idyllic setting for surfers, hikers and lovers alike. 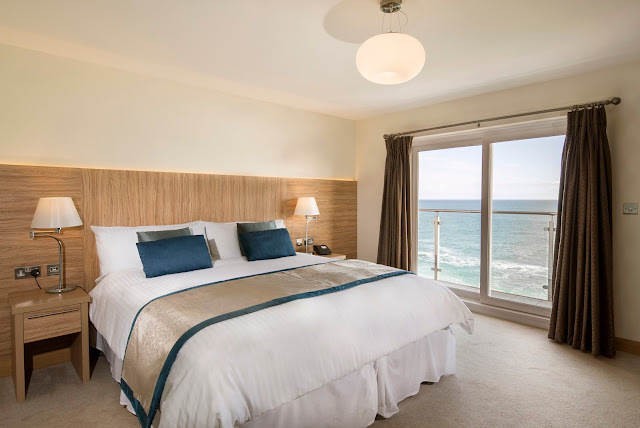 From economy rooms and sea-view rooms to a lavish suite with a private hot tub, the Fistral Beach Hotel offers rooms to suit all budgets and occasions. Our room was one of the 'Best' rooms located on the second floor, complete with a balcony, a freestanding bath, ESPA toiletries and a picture-perfect view of the ocean. The hotel provides complete comfort and each room has been meticulously designed to emulate the beautiful surroundings. 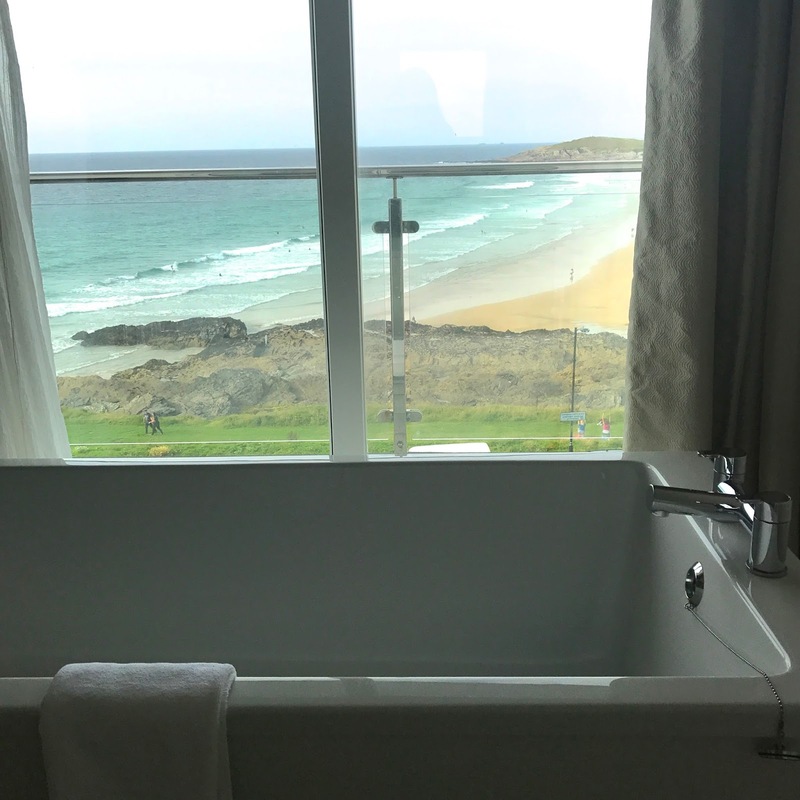 Whether you're a surfer or a spectator, the Fistral Beach Hotel allows you to make the most of the coast whichever way you choose. 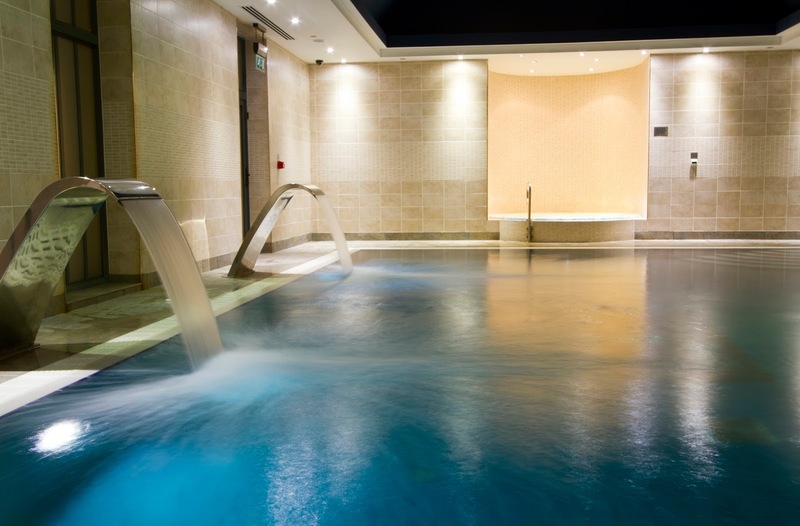 And when it comes to winding down after a long day by the sea, the Fistral Spa's vitality pool gives sanctum to those wanting to indulge the body and mind in a place of ultimate tranquility. After a well-deserved day of relaxation, the Dune Restaurant at the Fistral Beach Hotel is the perfect place to refuel and watch the sun go down. With billowing white drapes, elegant flora and ocean-inspired ceramic table decorations, the restaurant oozes seaside sophistication and serves a delicious seasonal menu with locally sourced meats, seafood and vegetables at the forefront. Each dish is crafted with passion and a love of eating well. For starters, we opted for the seared scallops with mango salsa and the chef's special fish cake. 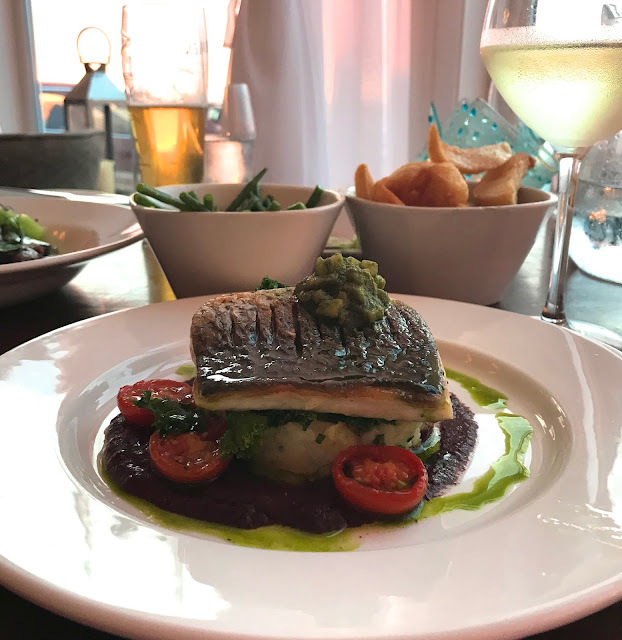 For mains, I ordered the fillet of stone bass with black olives and sun-blushed tomatoes while Tom tucked into the charred pork belly with noodles and Asian greens. It's clear from the menu options that the chefs love to create and inspire diners with their culinary delights. 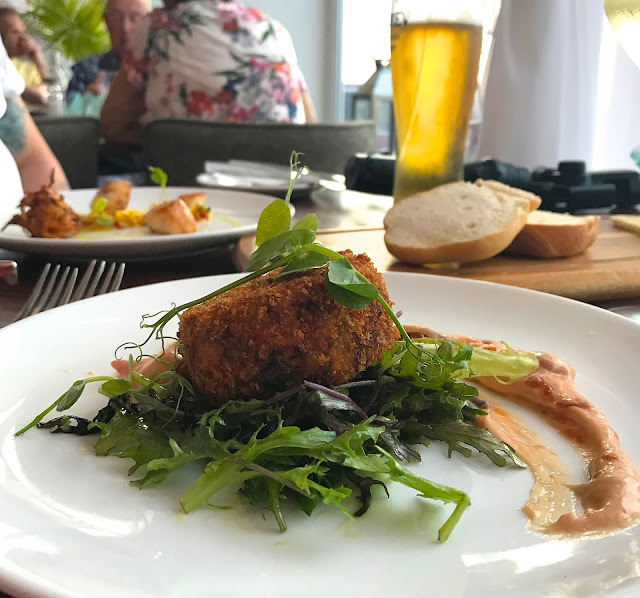 As well as offering an interesting menu on paper, the execution of each dish is faultless: the presentation is good, the flavours work well together, the portion sizes are very generous and the servers are first-class. 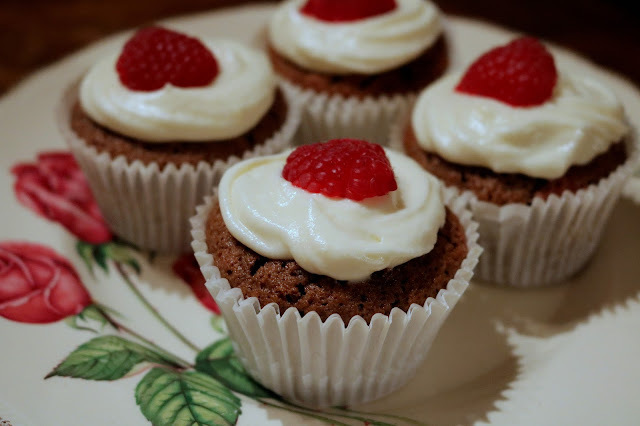 Although we were both bursting at the seams (a common occurrence in our relationship), we still had room for dessert. 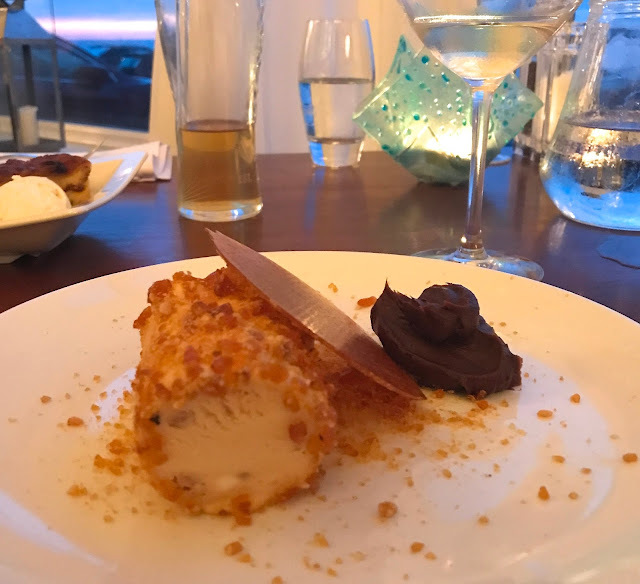 I had to have the peanut butter parfait with chocolate ganache and hazelnut brittle, while Tom - as British as he can be - chose the chef's special bread and butter pudding. I have to admit that I was beaten by the peanut butter parfait but the flavours were divine. Nuts and chocolate will always be a winning combination for me and the contrasting textures made it an interesting and contemporary choice of dessert. 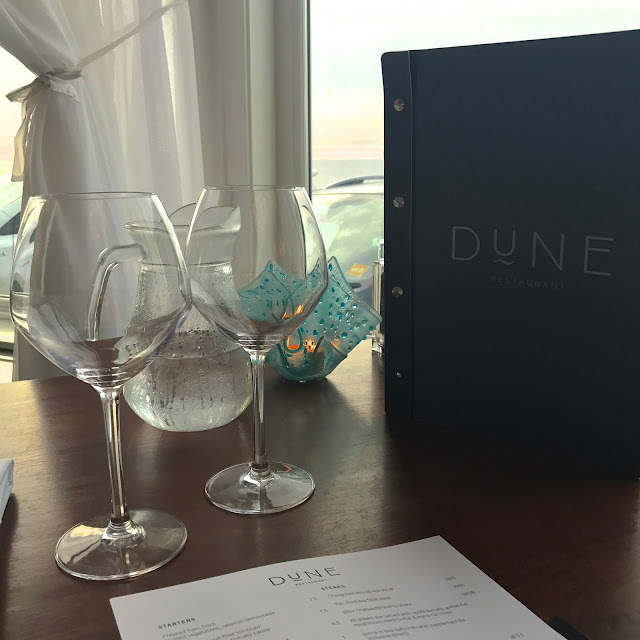 No three-course meal is complete without a tipple or two and to accompany the delicious food menu, the Dune Restaurant offers an exhaustive list of wines (complete with a selection of vegan friendly wines) and locally brewed beers. If you're more of a cocktail connoisseur, the Bay Bar at the hotel serves a selection of classic and current cocktails and is a place where you can sit, sip and socialise until the early hours. After a heavenly night's sleep and waking to the sound of the waves crashing on the shore, we made our way down to the Dune Restaurant to have breakfast overlooking the morning tide. Breakfast at the hotel includes a full continental buffet, bottomless mimosas, fruit smoothies and hot breakfast options; a hearty way to start the day. 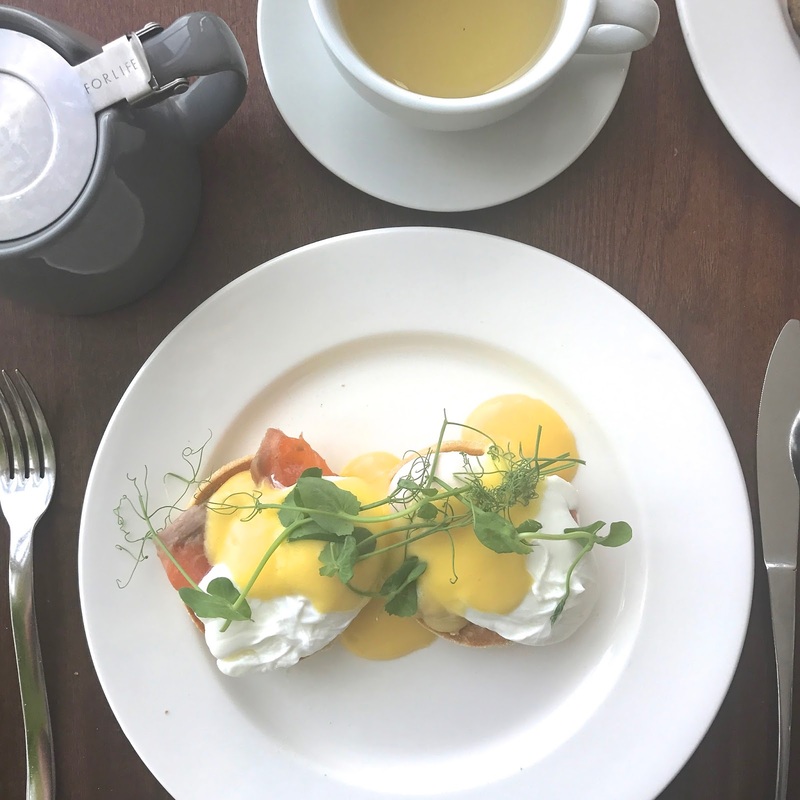 My go-to hotel breakfast is Eggs Royale, which was cooked just the way I like it: quality smoked salmon served on a fluffy English muffin base with runny poached eggs and a delicious béarnaise sauce. Fully rested, fed and prepared for another day of relaxation, we took ourselves down to Fistral Beach for a morning stroll. The bay truly is stunning, even at its busiest. The golden sand tickles your toes, the cool ocean waves beckon you to take a dip, dogs bound happily around you, surfers wait patiently to catch the waves. The setting is so far from my daily life but somehow, it feels completely normal - and that's the beauty of Cornwall. 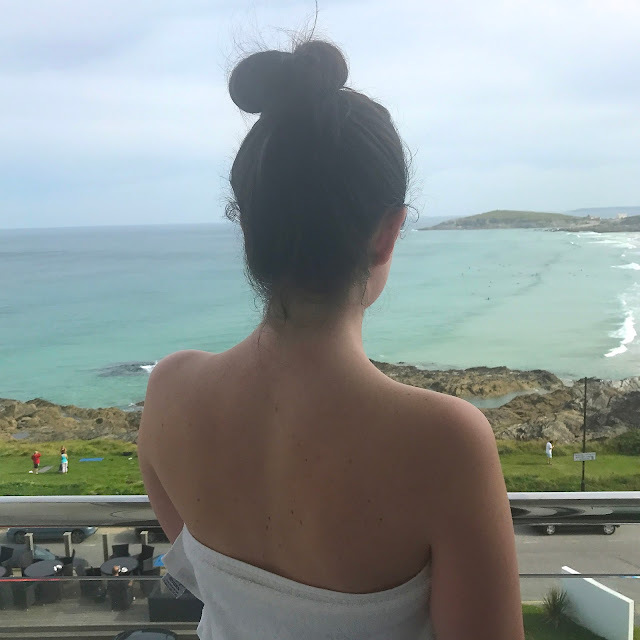 So, if you're looking for a relaxing break away on the Cornish coast, the Fistral Beach Hotel is an excellent place to stay. Whether you're a couple or have a family, whether you want to surf or spend time chilling out, whether it's your first time in Cornwall or your twentieth, the hotel caters for all. Enjoy the surroundings knowing you have a comfortable place to stay with a fantastic restaurant and I promise, there'll be no looking back.